Cats can’t digest certain parts of their meals — think hair, feathers, and bones. Eating grass helps eliminate the indigestible matter before it goes through the cat’s intestinal tract. Grass is also a natural laxative, so it helps fur that gets into the cat’s intestinal tract pass out the other end. 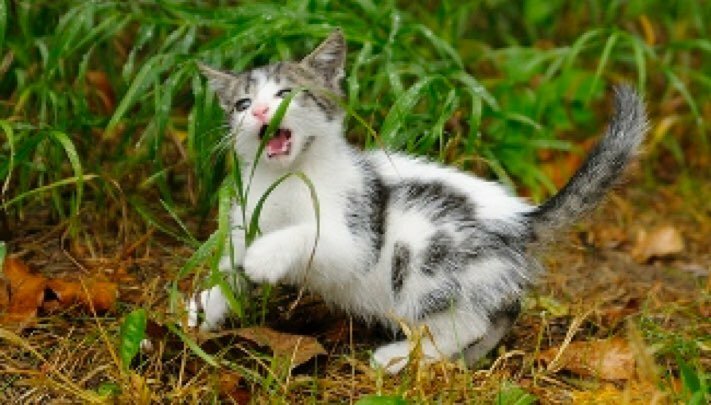 The juice of grass contains folic acid, an essential vitamin that helps the cat’s body produce hemoglobin, which moves oxygen in the blood system. So, if your cat has an urge or need for grass, grow or buy some for her as a nice treat.